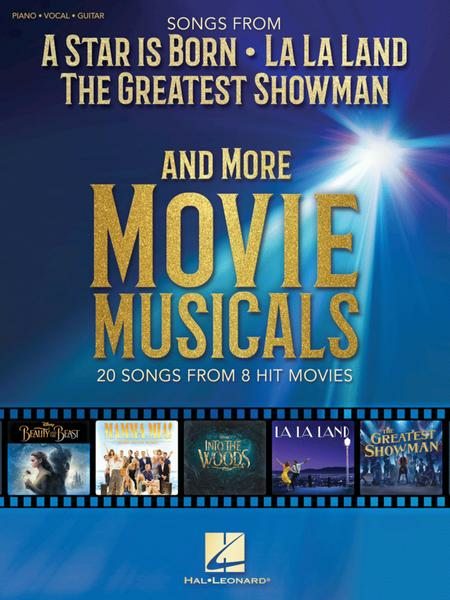 Movie musical lovers will delight in this songbook chock full of top-notch songs from blockbuster movies arranged for piano, voice and guitar. 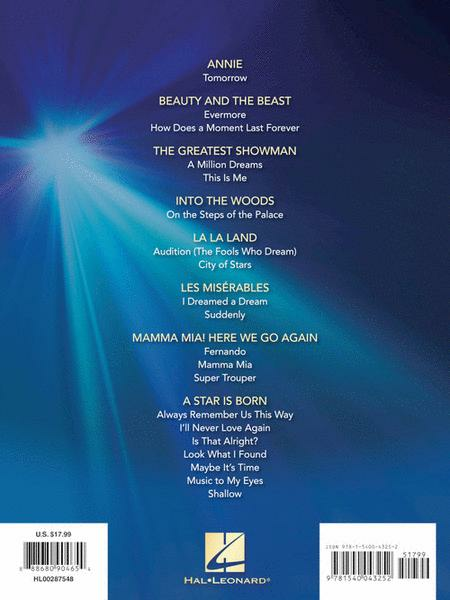 Includes: Audition (The Fools Who Dream) and City of Stars from La La Land ? Evermore and How Does a Moment Last Forever from Beauty and the Beast ? Fernando, Mamma Mia and Super Trouper from Mamma Mia: Here We Go Again ? I Dreamed a Dream and Suddenly from Les Misérables ? A Million Dreams and This Is Me from The Greatest Showman ? On the Steps of the Palace from Into the Woods ? Tomorrow from Annie ? 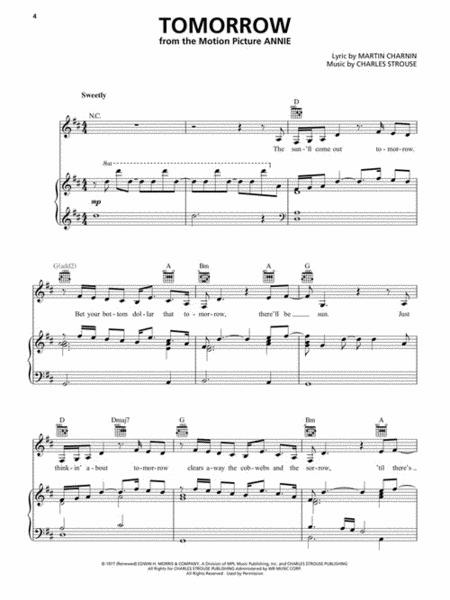 plus 7 songs from the 2018 hit movie A Star Is Born featuring Lady Gaga and Bradley Cooper: Always Remember Us This Way, I'll Never Love Again, Is That Alright?, Look What I Found, Maybe It's Time, Music to My Eyes, and Shallow.